Lets Flamingle with our friends over tea and cake, yes we will definitely need some cake! 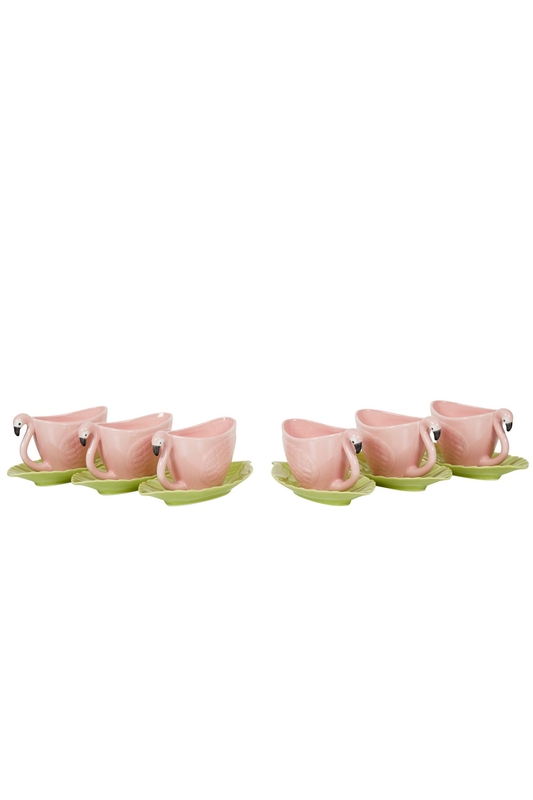 These gorgeous six set of flamingo tea cups and leaf saucers will brighten up any afternoon tea! Hand wash only please fragile flamingo! Complimentary Flamingo Mug and Flamingo Tea Pot available too!